Federal Employees Group Life Insurance (FEGLI) provides group term life insurance. The term policies don't build cash or paid-up value. FEGLI coverage consists of Basic life insurance with three forms of Optional insurance available. Employees must be careful to select affordable coverage when they retire and before making a retirement election understand what is available and how much you will have to pay month for the coverage you desire. The cost of Option B multiple coverage, if maintained in retirement, becomes very expensive and increases with age. See the example listed below under Option B coverage for details. You must carry Basic insurance to elect any of the three options. Unlike basic enrollment the optional insurance is voluntary -- you must apply for and select the options you desire. Evaluate your insurance needs to determine how much coverage to maintain when you retire. Obtain competitive quotes for Part B coverage to compare costs. FEGLI Retirement Options (Part 1) Determine what FEGLI insurance options to carry into retirement. FEGLI Retirement Options (Part 2) What you need to know about your Parts A, B and C coverage. FEGLI Retirement Options (Part 3) Life event changes that allow employees to make FEGLI coverage changes. Insurance companies that replace or change an existing FEGLI policy must notify that person's personnel office. For annuitants send the notification to OPM. Notifications must be sent to an active employee's personnel office. Government shares the cost of Basic insurance with you. The Government pays 1/3 and You pay 2/3 of the total cost. Your Basic insurance isn't affected by your age. However, you must pay the total cost of any Optional insurance that you elect and the cost is determined by your age and gets very expensive especially after age 55. The Office of Federal Employees' Group Life Insurance (OFEGLI), a private entity under contract with the Federal Government, processes and pays claims under the FEGLI Program. Beneficiaries must submit a claim to the OFEGLI to collect on the policy. Survivors can call them at 1-800-633-4542 to follow-up on submitted claims. See the Survivor's page for additional reporting procedures. The annuitant costs for all options are listed on our Annuitant's FEGLI Rate page. Current employee rates are listed separately. You can elect to keep full coverage, 50% reduction or 75% reduction for Basic coverage. The reductions don't start until you reach age 65 and with the 75% reduction you pay nothing from age 65 on. The SF-2801 form also lists everything you will need to know before making your selection. I canceled Option A, B, and C coverage in my 50s since our children were grown and we had additional private insurance. Option B FEGLI multiples become very expense as you age and you can generally find lower cost term insurance policies from other insurance companies. I only had Basic coverage when I retired and elected the 75% reduction. When I turn 65 I pay nothing and my coverage decreases to 25% of my full coverage over a period of approximately 37 months. Between my FEGLI Basic reduced amount and my private insurance there will be sufficient coverage for my family's needs. Basic FEGLI coverage costs doesn't increase with age like the other options do. Currently annuitants pay 32.5 cents per $1,000 of Basic insurance before age 65, nothing after age 65 if you elect the 75% reduction, 64 cents per $1,000 of coverage if you elect the 50% reduction, and $1.94 per $1,000 of coverage for no reduction. Before you make an election I suggest that you review your estate first. An excellent resource for this is "Plan Your Estate." This book will help you evaluate your personal situation and this evaluation will help you determine how much insurance you will need in retirement. This is called the Basic Insurance Amount (BIA). The Federal Government pays one-third of the premiums for Basic coverage and the employee or annuitant pays two-thirds. Employees and annuitants with the U.S. Postal Service pays nothing for Basic coverage, the USPS picks up the tab. If you are under age 45, you automatically have extra coverage without paying any additional premium. This Extra Benefit increases the amount of Basic insurance payable at the time of your death if you die before age 45. Option A Standard Insurance is a fixed $10,000 amount when you retire and it reduces 2% a month, $200, starting at age 65 until is reduces to $2,500. It is free starting at age 65 however the cost of the coverage adjusts for your age. You can review the rates to see if it is worth while to retain in retirement. From Age 60 to 64 the rate is currently $13 a month for $10,000 of insurance. The amount of coverage is determined by multiplying your final annual basic pay rate rounded to the next higher thousand by the number of Option B multiples that were in effect for the five years of service immediately before your retirement or the entire periods of service during which these multiples were available to you, if less than five years. Each multiple equals your annual rate of basic pay (after rounding up to the nearest $1,000). You can have a maximum of 5 multiples of your base salary. When you retire you elect either a full reduction benefit or no reduction. If you elect full reduction your multiple coverage will stay in force until you reach age 65. At age 65 the premiums stop and your coverage reduces 2% a month for 50 months when coverage ends. No reduction premiums are very high. For example, if you base pay was $60,000 when you retired and you elected 5 multiples, your total coverage would be $300,000, 5 x $60,000. Premiums continue after age 65 and the current premiums are $1.343 per thousand dollars of coverage. In this example the annuitant would be paying $402.90 per month to retain this coverage. From age 70 to 74 the premiums increase to $2.47 and the monthly premium would increase to $741 per month. Premiums increase again to $3.90 per thousand from age 75 to 79, and top out at $5.20 from age 80 on. At age 80 the annuitant would be paying $1560 a month at current premium levels. It should be noted that premiums are subject to change. View the FEGLI rate charts for the new rates. Family coverage includes $5,000 for a spouse and $2,500 for each child under age 22 in your household. You can elect up to 5 multiples and the premiums adjust as you age. When you retire you elect either a full reduction benefit or no reduction. If you elect full reduction your multiple coverage will stay in force until you reach age 65. At age 65 the premiums stop and your coverage reduces 2% a month for 50 months when coverage ends. The premium costs per multiple ranges from 48 cents per multiple at age 35-39 to $15.60 per multiple from age 80 and up. If you don't have private insurance for your spouse this coverage will fill the gap. Three multiples ($15,000 in coverage) would cost a person between the ages of 60 to 64 $17.55 a month ($5.85 per multiple) for $15,000 in coverage. From 65 to 69 the cost increases to $20.40 per month and age 80+ it would increase to $15.60 per multiple monthly or $46.80 a month for $15,000 in coverage. Employees can choose a full or partial (a multiple of $1,000) Living Benefit while annuitants and compensationers are limited to electing a full Living Benefit. Living Benefits are equal to the Basic Life insurance amount, plus any extra benefit for persons under age 45, that would be in effect nine months after the date of the Office of Federal Employees' Group Life Insurance (OFEGLI) receives a completed claim for Living Benefits form. The OFEGLI is a private entity that has a contract with the Federal Government to process and pays claims under this program. If you assigned your life insurance policy, you cannot elect a Living Benefit. Living Benefit payments are reduced by 4.9% to make up for lost earnings to the Life Insurance Fund because of the early payment of benefits. The election of a Living Benefit has no effect on the amount of any optional life insurance that you now carry and premiums for any optional insurance must still be paid. 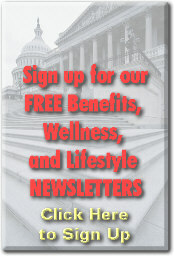 You must contact OFEGLI at 1-800-633-4542 to obtain the form to elect Living Benefits (Form FE-8). This form is not available from your human resources office or the Office of Personnel Management (OPM). The customer service representative will process your claim over the phone and send you the FE-8 form to complete. Federal retirees, unless they have assigned their life insurance, may cancel Basic or Optional life insurance coverage at any time. Any cancellation or reduction of life insurance coverage must be in writing and have an original signature by the insured retiree. Be sure to include your retirement claim number (CSA number) or social security number and specify what action you want taken. Please note that you cannot increase your coverage after retirement, or reinstate any coverage that you cancel. Write to: U.S. Office of Personnel Management Retirement Operations Center P.O. Box 45 Boyers, PA 16017-0045 The FEGLI election form is usually for employees, but I would complete it and send it with your written request for the reduction. Policy holders can contact the Office of Federal Employees Group Life Insurance (OFEGLI) for assistance or to report a death. Note: Insurance companies must send notification of their intent to replace or change an existing FEGLI policy or contract to OPM for annuitants or to the employee's personnel office for active federal employees. The OPM address for annuitants is U.S. Office of Personnel Management, Retirement Operations Center, Post Office Box 45, Boyers, PA 16017.